Get your outfits ready and prepare to go bright as the 2019 Unicorn Ball is taking place next month. The annual event, held by the Vancouver Pride Society, is returning to Vancouver for its third straight year. The winter fundraiser helps raise money for LGBTQ2+ communities. Taking place on Saturday, February 2 at the Imperial, the ball is celebrated with a dance party that runs from 9 pm to 2 am. Live music will take place throughout the entire night featuring DJ A$H, O Show, Angle, Krista, and Dezi Desire, to name a few. This year, all proceeds will go towards a VPS bursary fund to assist small, marginalized groups to participate in Pride or to create their own events come Pride season. Attendees are invited to dress in their most colourful, most sparkly unicorn outfits, as the Unicorn Ball will have a costume contest for most colourful, most creative, and the horniest horn. Those that don’t have a costume will be able to participate in a Unicorn-Me-Up decoration and craft station, Unicorn face painting, a photo booth, and a chance to pick up their own Unicorn horn on site. 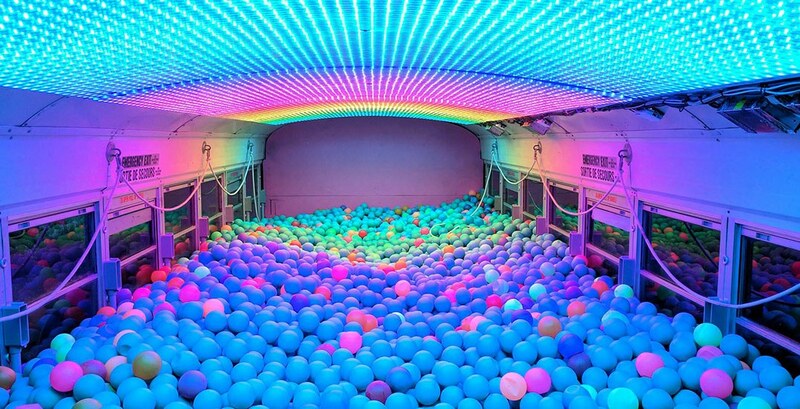 The ever-popular Love Bus ball pit will be open during the event as well. The Unicorn Ball will also include a raffle, with one of the highlighted prizes including two roundtrip airfares, valid for travel from Vancouver to any destination in Canada, the United States, or the Caribbean on Air Canada. This year, although sparkles and sequins are highly encouraged for your outfit, venue organizers have asked that glitter not be thrown around. Advance tickets can be purchased online via Eventbrite and are currently available for $27, including taxes and fees. The main floor of the Imperial is wheelchair accessible, with ramps that provide access to the main theatre/dance floor and an accessible washroom. The event is open to all members of the LGBTQAIS2+ community.